There are many facets to gender inequality, including the issues that working parents and carers face. Raising a family is currently viewed and experienced as a significant career obstacle, with 79% of those in the UK Study by Raising Films stating that their caring role has had a negative impact on their career. The research confirms the urgent need for the film industry to respond positively and practically to the situation many women and men struggle to manage. In 2018, WIFT NSW followed the lead of the dynamic UK group Raising Films, and launched a sister chapter - Raising Films Australia (RFAU). RFAU seeks to identify the major problem areas preventing parents and carers from participating in the Australian screen industry and will collaborate with the Federal and State agencies, industry organisations and those who work within it to develop initiatives to bridge this gap. Raising Films is a UK based Not-For-Profit organisation that has begun to tackle this very issue by setting up tangible programs to assist employees to better meet their work and caring commitments and support positive changes towards a more family-friendly industry. What will Raising Films Australia deliver? An industry-wide conference with industry leaders (including funding bodies, production companies, distributors and exhibitors) to discuss how companies can better support working parents and carers. Development and release of Raising Films Australia report announcing initiatives and recommendations, including Best Practice Guides for the industry. Raising Films Australia will also investigate other possible initiatives such as the creation of a portable crèche bus/on-set creche and a benevolent fund for financial assistance to parents and carers similar to the UK strategy. Who is behind setting up Raising Films Australia? In early 2017, producer Leonie Marsh and scriptwriter Nicole Dade reached out to Hope Dickson Leach of Raising Films about their work and the need to address similar issues in our local industry. Hope then connected with local practitioners (including current WIFT Australia Board Member Megan Riakos and Committee Member Lucy Fisher and founding team members Kate Separovich, Kristen Hodges & Shideh Faramand) through a Raising Films brunch held at the 2017 Sydney Film Festival. From that, as women do, things got done and here we are! Create NSW has provided a grant of $15,000 to assist with the establishment of Raising Films Australia. Australian Film Television and Radio School and the Screen Diversity Inclusion Network have also pledged to work alongside WIFT NSW to support these proposed initiatives through both soft skills as well as hard resources such as venues. The Making It Possible Program is a free one-day course with follow-up mentorship, for women in the screen industry whose careers have been impacted due to parenting and caring responsibilities. Expressions of Interest for Byron Bay, Bega and Dubbo are now open. Places will be available for up to 15 women in each course location. Click here for more information. The Raising Films Australia Screen Industry Survey report - Honey, I Hid the Kids: Experiences of Parents and Carers in the Australian Screen Industry, has generated a long overdue discussion about the rights and needs of parents and carers working in the Australian screen industry. The survey findings will now inform strategies and policy changes to create more family friendly workplaces and support workers in the screen industry to better fulfil their work and caring commitments. Read more about the survey report here. 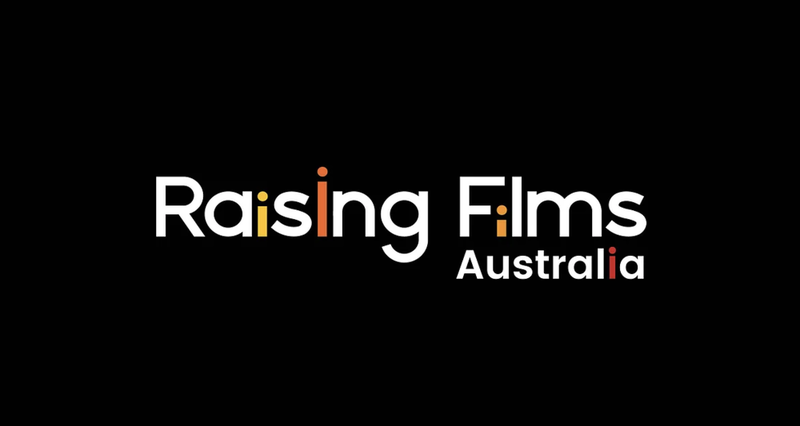 Follow Raising Films Australia on Facebook, email us at raisingfilmsaustralia@wiftaustralia.org.au or sign up to the Raising Films Australia mailing list. For more information on Raising Films in the UK (including research, reports and initiatives), head to www.raisingfilms.com.